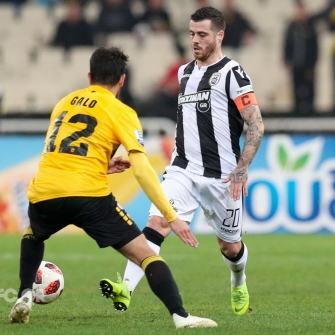 The encounter against AEK Athens can be split into two parts: the first, when the two teams were 11 v 11 and, the second, when PAOK were left with 10 players on the pitch. 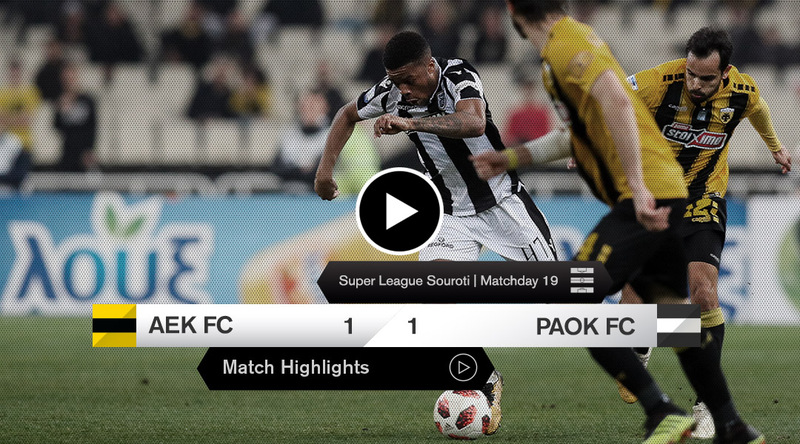 In the first part, PAOK dominated proceedings, scored, created opportunities and brought out on the pitch their quality and steel character. 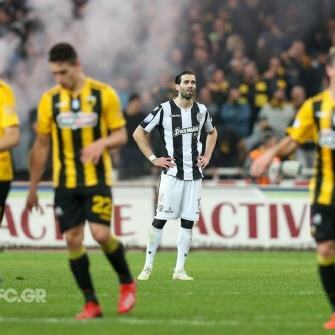 In the meantime, they were rarely bothered by AEK who just managed one long-range shot. 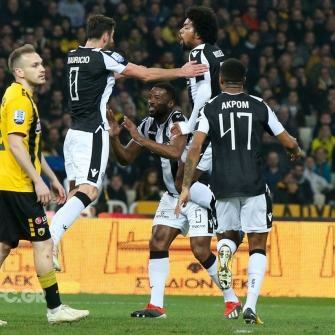 After PAOK were reduced to 10, they tightened their defense, made good judgment calls, were passionate and demure at the same time in their quest to keep AEK Athens away from their box, while looking for counterattacking opportunities. 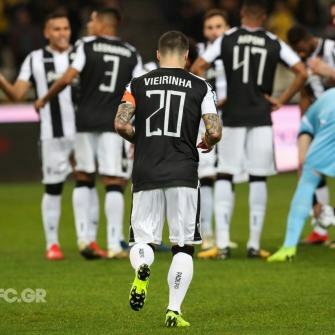 However, as Răzvan Lucescu later admitted, PAOK were made to pay for their one and only error in the game and had to settle for a draw. 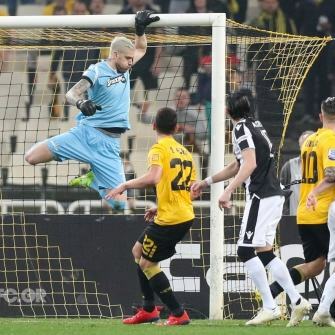 The home side started strongly into the encounter and were the first to test Alexandros Paschalakis’s reflexes, but the Greek keeper denied Livaja. 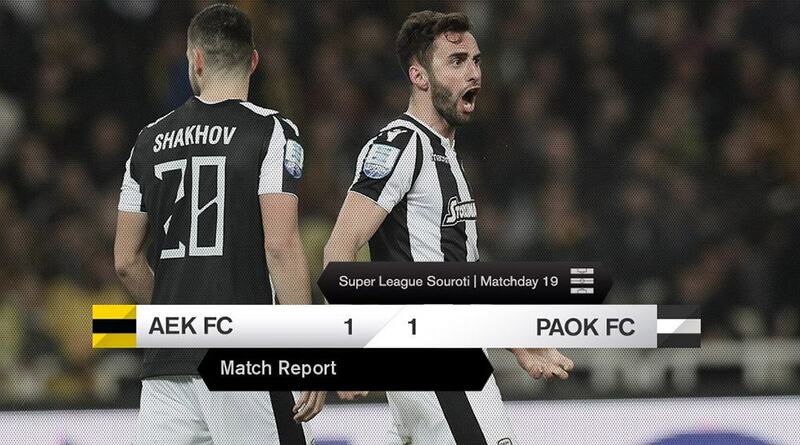 PAOK then took the reins of the match and netted the opener in the 10th minute. 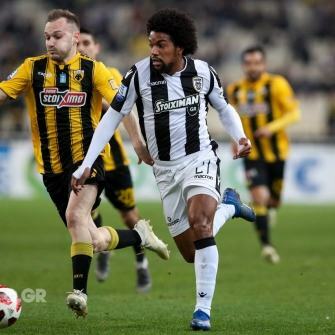 Omar El Kaddouri took the corner kick, Fernando Varela provided the headed assist to unmarked Maurício who gave PAOK the lead from close up. 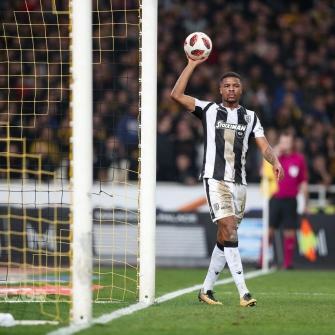 PAOK created more danger, but Chuba Akpom and Léo Jabá squandered their opportunities. 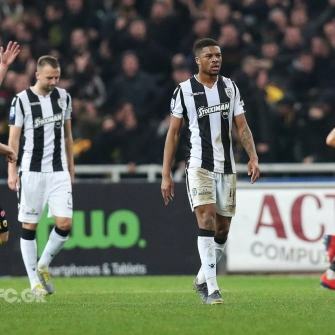 In the 32nd minute, the complexion of the encounter changed entirely. 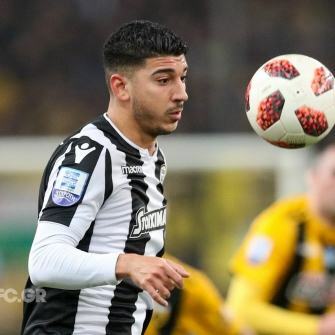 The Danish referee dismissed Jabá on a (harsh) second bookable offence. 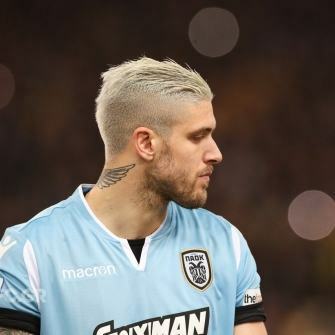 The Brazilian winger had been booked earlier despite sustaining a knock by Livaja while the ball was out of play. 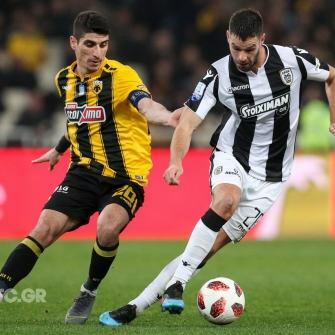 The two sides hit the dressing rooms with the scoreline unchanged, as AEK Athens couldn’t find a way through PAOK’s defence, while Lucescu’s troop maintained their focus. After the interval, the pattern didn’t change much. 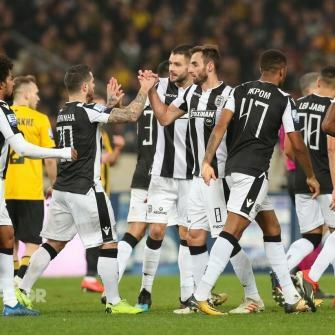 PAOK kept their lines close behind the centre line and attempted to keep AEK Athens away from their box. 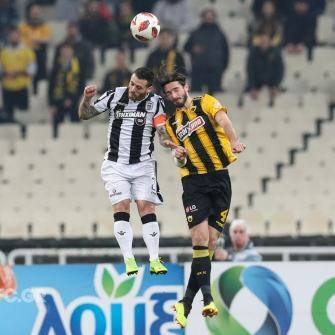 The plan worked, as AEK could only cross from the flanks, PAOK defenders comfortably clearing danger. 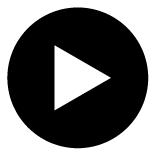 One of these crosses though found its target. 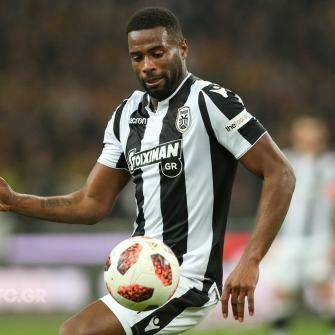 In the 77th minute, Livaja teed up Ponce, who beat Paschalakis. 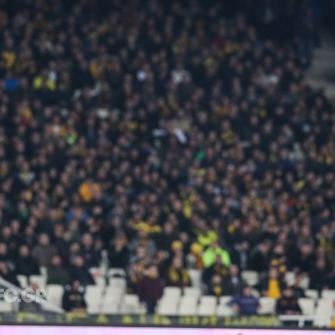 The visiting side kept their cool though and could have snatched a late victory. 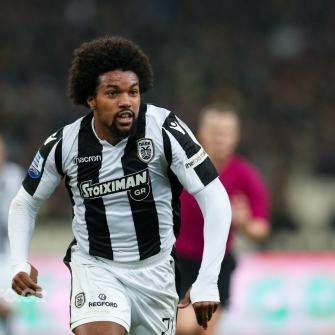 But no PAOK player was able to dispatch home the pass produced by Léo Matos , after his excellent slalom. 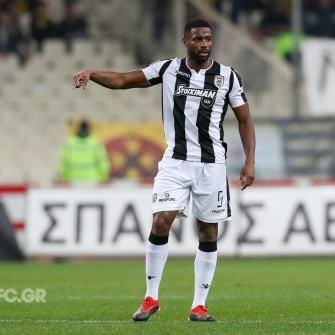 PAOK now focus on their Greek Cup quarter-final against Panionios in Nea Smyrni. 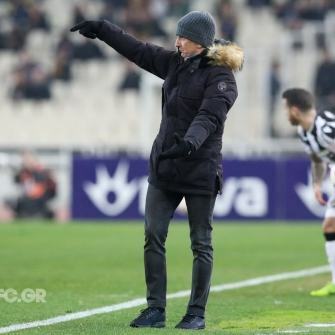 On Sunday 10 February, they host Olympiakos in Toumba Stadium in a potentially league-deciding encounter. 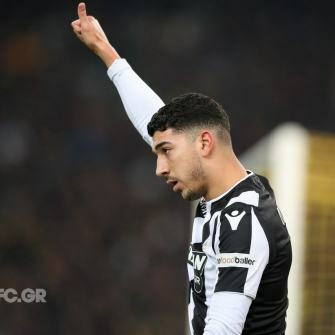 ΑΕΚ Athens: Barkas, Bakakis (46’ Krstičić), Chygrynskiy, Ikonomou, Galo, Hult, Alef (60’ Boyé), Bakasetas (87’ Klonaridis), Μantalos, Livaja, Ponce. 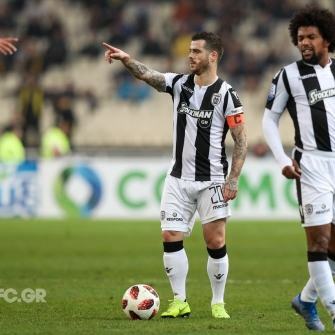 PΑΟΚ: Paschalakis , Μatos, Vieirinha , Crespo , Varela , Shakhov (64’ Mišić), Maurício , Biseswar (59’ Limnios ), Jabá , El Kaddouri (84’ Pelkas ), Akpom .